The college provides scholarships to the eligible candidates of Schedule Caste, Scheduled Tribe and Backward Classes through sanctions from Social Welfare Department, Government of Andhra Pradesh and other scholarships. The eligible candidates have to apply within the stipulated date. Fee concession for BC/ST/SC candidates will be given only on submission of Caste and Income certificate (latest i.e., after 31-03-2011) from M.R.O. Otherwise they have to pay fee in full on par with OC candidates. To be eligible for scholarship the income of the parent/guardian should not exceed the prescribed amount as mentioned below and the students should put a minimum of 75% attendance. Besides these scholarships the college also provides assistance to the students in granting Poor Boys Aid. 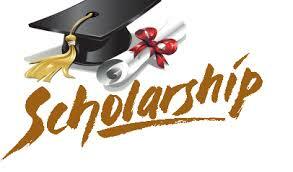 UGC Scholarship for the only female child pursuing PG in conventional course.